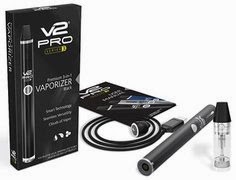 If you haven't yet checked it out, be sure to head on over to V2 Cigs and take advantage of the savings (today is the last day!). During the V2 Halloween sale you'll get 25% OFF everything storewide! 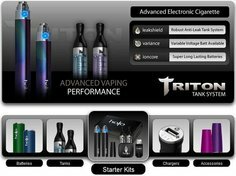 From e-liquid to cartridges to batteries, everything is on sale (discount is applied at checkout). 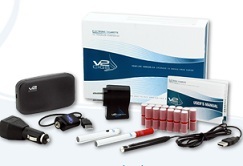 Btw, the new V2 Pro Series 3 (as well as cartridges and accessories) is also on sale. So if you don't have one yet, now is the perfect time to get one and propel your vaping experience to the next level and beyond. Curious? Then be sure to check out our in-depth V2 Pro Series 3 review! 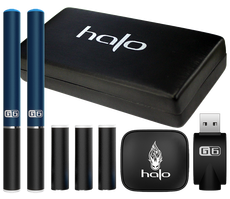 We spent a lot of time testing it in order to make sure that it was a top-quality e-cig - and worth recommending to our fellow vapers. We've been enjoying the Series 3 for several months now (and vaping V2's awesome Vanilla e-liquid flavor), and are sure you'll really enjoy it as well when you get it. Anyway, be sure to take advantage of these spooky-cool Halloween savings while they last. If you like to be fashionable and vape in style, then Vapor Couture is where it's at. Designed exclusively for women, this striking line of e-cigarettes and accessories has been on the cutting edge of fashion, form and function ever since its inception. With their gorgeous crystal-tipped batteries, striking charm necklaces and stunning e-cig carrying cases, Vapor Couture has set the standard for stylish vaping. 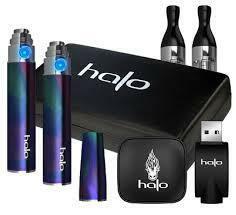 In fact, no other e-cig brand has been able to match, or even compete with VC, when it comes to vaping form and function. And this Halloween, they're offering something that what we all love...a big 25% OFF sale! Note: Today is the last day of the sale! Just a heads up that today is the last day for the big Halloween e-liquid sale at Volcanoegics. 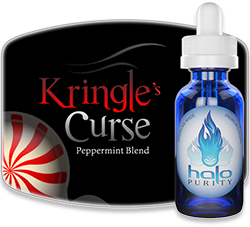 You can get a cool 30% - 50% off several different candy e-liquid flavors! Some of those popular vaping flavors are Choconilla Haze, Sweet Tart, Cotton Candy and Milk Chocolate and Salted Caramel. All are quite delicious and available in 15 ml and 30 ml bottle sizes. So be sure to head on over there and treat yourself to something scary-good this Halloween. 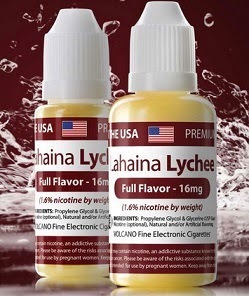 Just a quick heads up that Lahaina Lychee e-liquid is on sale (30% off) over at Volcanoecigs. Note that the sale ends in about 7 hours, so don't wait and miss it! Lahaina Lychee is a tropical treat - a great mix of sweet and earch tones. The mellow lychee fruit flavor is clean and crisp, and has a mild sweet undertone. 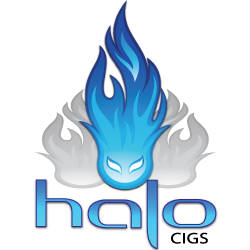 So head on over to Volcanoecigs if this is a vape that sounds good to you. "Love this liquid. Its a nice pleasant fruit taste that isn't too heavy nor too light. I get a hint of floral tones in he after taste. A very unique flavor. I use it as my every day vape." "I didn't think any liquid could beat the Pineapple Punch, but the Lychee has done it. Very smooth, with a pleasant after-taste. Can't be beat! Ya gotta try it!" Fall is now upon us. The leaves have finally changed, exploding into a vibrant profusion of natural glory. It's an extravagant display that we all adore, year after year after year. And to celebrate the season of sweaters, pumpkins and cooler weather, Volcanoecigs have released their new Fall e-liquid Blends. The three cool fall e-liquid flavors are: Parker Rancher, Hutella and Cap'n Cook. • Parker Rancher - This e-liquid has a fresh and fruity inhale and a mellow, fruity flavor peak, just liker a Jolly Rancher. - Founded in 1847, Parker Ranch is one of the oldest ranches in the United Stares, and is still a fully functioning cattle ranch. It covers over 250,000 acres on the Big Island of Hawaii. • Hutella - A rich and creamy mocha chocolate flavor profile - dark and decadent.. Love Nutella? Then you'll definitely love this recreation of the famous Nutella chocolate spread. - Pietro Ferrero, an Italian pastry chef, created the Nutella spread during World War II. Due to war rationing, cocoa was in very short supply, so in order to extend cocoa rations, he added hazelnuts, since they were quite plentiful in the Piedmont region of Italy where he lived. • Cap'n Cook -A delectable brown sugar and buttery inhale with undertones of cinnamon and cream. Bottom line, it's a spot on recreation of Cap'n Crunch cereal. Yummy! - Did you know? Captain James Cook was the captain of the British Royal Navy. He visited the Hawaiian Islands and named them the "Sandwich Islands", in honor of John Montagu (the 4th Earl of Sandwich). That name stuck until around the 1840's when the local name "Hawaii" eventually took its place. These e-liquid flavor options are awesome, so be sure to check them out, ASAP.